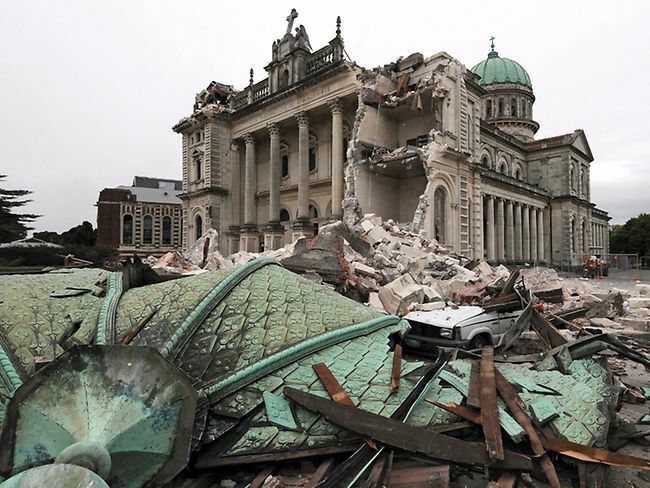 Christchurch New Zealand is still searching for missing citizens and trying to start cleaning up since the quake last week. These people are doing it really tough and it is estimated that more than one third of all the buildings in the quake zone will need to be demolished. 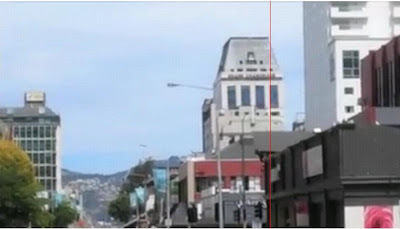 I have added the vertical red line in the photo above of the Hotel Grand Chancellor so you can see how far off from vertical that it is. Many believe that this building will fall down, many believe that if this happens it could trigger another quake. Since September 4th 2010 there have been more than 5,000 earthquakes and aftershocks, look at the map here to see them. Select sticky dots in the display options. It is difficult to absorb that number, but there have also been more than 250 aftershocks just in the last week. This really brings what the city's residents have been dealing with into very sharp focus. 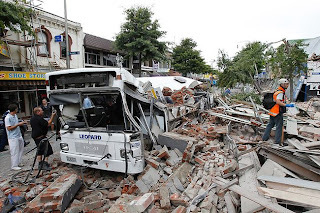 I am so glad that my friend Louise and her family have remained safe, as I mentioned in a previous post she was in Christchurch visiting her family. At the time of the quake last Tuesday, Louise was planning to head out shopping with a friend and maybe take a ride on the gondola. Just the day before she had been touring around many of the areas that are now destroyed. Thankfully Louise managed to get back to her adopted home here in Perth, but I know she had very mixed feelings about leaving her actual home back in New Zealand. I am hoping we will catch up over the coming weekend. Yesterday the New Zealand government launched an appeal to raise funds to help rebuild the city of Christchurch. If you can help please visit the link to donate to the Christchurch Earthquake appeal. Prayers go out to all affected.